Are You A Candidate For Dental Veneers? Dental Veneers can help revamp smile. The invention of veneers dates back to the early 1920's when they were used by film stars to improve their smile on screen. However, this was only a temporary solution. Today dental technology has advanced and the option of porcelain veneers is available to patients. Porcelain veneers are tooth-colored, custom-made shells of wafer-thin material. Dental veneers are made of thin porcelain shells, customized for your teeth. They are carefully bonded to your tooth surface by the dentist, so as to conceal underlying stained, broken or chipped teeth. Veneers can also correct deformed teeth by changing the shape of the teeth, they can close teeth gaps and elongate a broken down tooth. The dentist removes a slight layer of enamel from your teeth to optimize it for traditional veneers. 1) Your teeth are stained: Veneers can conceal stains below them, including discoloration caused decay or dental fillings or intrinsic stain. 2) You have a deformity in the tooth structure: If your tooth structure is deformed, porcelain veneers may be helpful in changing the shape. They can cover chipped, cracked, short and malformed teeth. 3) You want straighter teeth: Dental veneers can fulfill your desire to have teeth that are whiter and straighter. If you are dissatisfied with what you have, it can be anything from tinted teeth to decayed teeth, you may be a candidate for dental veneers. 4) You have optimal teeth alignment: Though veneers can correct malformed teeth, it is always advisable to avoid dental veneers if you have highly misaligned dental structure. Various misalignments can exert pressure on teeth and correcting them with veneers can cause the veneer to break. 5) You follow an ideal dental hygiene: As dental veneers are placed on natural teeth surface, it is primary to have healthy teeth. Practice brushing and flossing daily for maintaining good oral health. Also, make sure to visit your dentist regularly. With due care and conservation, the lifespan of porcelain veneers can be enhanced. 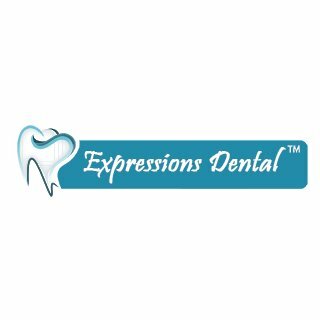 If you think, you are a candidate for dental veneers in Calgary, get in touch with Expressions Dental™ Clinic. Our dentists will assess if veneers are an option for you.